Channel [V] will air a documentary series Foo Fighters: Sonic Highways, created and directed by Dave Grohl, commemorating their 20th anniversary as a band. Foo Fighters: Sonic Highways sees the band travel to eight legendary studios in eight different American cities, to write and record their latest album, Sonic Highways. Over the eight episodes the band will also interview famous artists who have previously recorded at the respective studios. Grohl describes the show as a “love letter to the history of American Music” as it features music legends ranging from punk icon Ian MacKaye to the most recognised artists in country music Willie Nelson and Dolly Parton. Foo Fighters: Sonic Highways gives a raw insight into the experiences, interviews and personalities that became part of the process of creating the band’s eighth studio album. Raking in 11 Grammy Awards and selling over 25 million records worldwide, the “Fooies” continue to dominate the rock ‘n’ roll music scene as one of the world’s biggest bands. 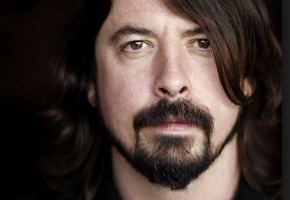 Previously they have released the hugely successful rockumentary Foo Fighters: Back and Forth in 2011. Monday to Thursday at 8pm from February 16 on Channel [V]. Yeah this is good. You don’t need to be a Foo Fan to enjoy this doco. I have this on Apple TV. No ads. Best way to watch it. I did pay for it – but I dont care. I saw an episode of this around midnight on Nine a few months back. Was actually very interesting, despite my not being a big Foo Fighters fan. The stuff about Kyuss was great!